responsibilities of pharmacists and pharmacies; rules and regulations. (a) It shall be unlawful for any person to function as a pharmacy technician in this state unless such person is registered with the board as a pharmacy technician. Every person registered as a pharmacy technician shall pass an examination approved by the board within 30 days of becoming registered. The board shall adopt rules and regulations establishing the criteria for the required examination and a passing score. (b) All applications for registration shall be made on a form to be prescribed and furnished by the board. Each application for registration shall be accompanied by a registration fee fixed by the board by rule and regulation of not to exceed $50. (c) The board shall take into consideration any felony conviction of an applicant, but such conviction shall not automatically operate as a bar to registration. (d) Each pharmacy technician registration issued by the board shall expire on October 31 of the year specified by the board. Each applicant for renewal of a pharmacy technician registration shall be made on a form prescribed and furnished by the board and shall be accompanied by a renewal fee fixed by the board by rule and regulation of not to exceed $25. Except as otherwise provided in this subsection, the application for registration renewal, when accompanied by the renewal fee and evidence satisfactory to the board that the person has successfully complied with the rules and regulations of the board establishing the requirements for a program of continuing pharmacy technician education and received by the executive secretary of the board on or before the date of expiration of the registration, shall have the effect of temporarily renewing the applicant’s registration until actual issuance or denial of the renewal registration. If at the time of filing a proceeding is pending before the board which may result in the suspension, probation, revocation or denial of the applicant’s registration, the board may by emergency order declare that the application for renewal shall not have the effect of temporarily renewing such applicant’s registration. If the renewal fee is not paid by December 1 of the renewal year, the registration is void. (1) The board may limit, suspend or revoke a registration or deny an application for issuance or renewal of any registration as a pharmacy technician on any ground, which would authorize the board to take action against the license of a pharmacist under K.S.A. 65-1627, and amendments thereto. (2) The board may require a physical or mental examination, or both, of a person applying for or registered as a pharmacy technician. 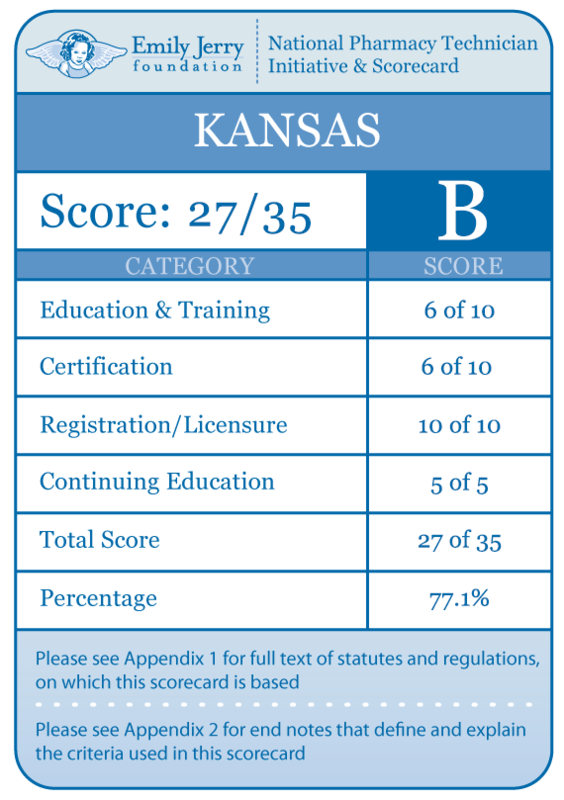 (3) The board may temporarily suspend or temporarily limit the registration of any pharmacy technician in accordance with the emergency adjudicative proceedings under the Kansas administrative procedure act if the board determines that there is cause to believe that grounds exist for disciplinary action under this section against the registrant and that the registrant’s continuation of pharmacy technician functions would constitute an imminent danger to the public health and safety. (4) Proceedings under this section shall be subject to the Kansas administrative procedure act. (f) Every registered pharmacy technician, within 30 days of obtaining new employment, shall furnish the board’s executive secretary notice of the name and address of the new employer. (g) Each pharmacy shall at all times maintain a list of the names of pharmacy technicians employed by the pharmacy. A pharmacy technician shall work under the direct supervision and control of a pharmacist. It shall be the responsibility of the supervising pharmacist to determine that the pharmacy technician is in compliance with the applicable rules and regulations of the board, and the supervising pharmacist shall be responsible for the acts and omissions of the pharmacy technician in the performance of the pharmacy technician’s duties. The ratio of pharmacy technicians to pharmacists in the prescription area of a pharmacy shall be prescribed by the board by rule and regulation. Any change in the ratio of pharmacy technicians to pharmacists in the prescription area of the pharmacy must be adopted by a vote of no less than six members of the board. (h) A person holding a pharmacy technician registration shall display such registration in that part of the place of business in which such person is engaged in pharmacy technician activities. (i) The board shall adopt such rules and regulations as are necessary to ensure that pharmacy technicians are adequately trained as to the nature and scope of their lawful duties. (j) The board may adopt rules and regulations as may be necessary to carry out the purposes and enforce the provisions of this act. (k) This section shall be part of and supplemental to the pharmacy act of the state of Kansas. 68-5-15 Training of pharmacy technicians. (a) The pharmacist-in-charge of any pharmacy in which one or more pharmacy technicians perform any tasks authorized by the pharmacy act shall insure that each pharmacy technician complies with the training requirements in this regulation. (7) knowledge of and the ability to perform procedures and techniques, including aseptic techniques, relating to the compounding, packaging, and labeling of drugs. (c) The pharmacist-in-charge of any pharmacy shall permit a pharmacy technician to perform tasks authorized by the pharmacy act only if the pharmacy technician has successfully completed, within 180 days of the effective date of this regulation or the effective date of the technician’s employment in the pharmacy, whichever is later, a training course that meets the requirements of subsection (b) and was designed for the pharmacy in which the tasks are performed. (1) There is an annual review of the pharmacy technician training course developed for the pharmacy. (2) Adequate records are maintained documenting the training of each pharmacy technician as required by this regulation. These records shall be maintained at the pharmacy in a manner available for inspection by a board representative. (iii) the name and address of the pharmacy or pharmacies in which the pharmacy technician is working. 68-5-16 Ratio of pharmacy technicians to pharmacists. (a) Except as otherwise provided in this regulation, the ratio of pharmacy technicians to pharmacists in the prescription area of any pharmacy shall not exceed two to one. (b) The ratio of pharmacy technicians to pharmacists in the prescription area of any pharmacy may be three to one if at least two of the pharmacy technicians have a current certification issued by the pharmacy technician certification board or a current certification issued by any other pharmacy technician certification organization approved by the board. 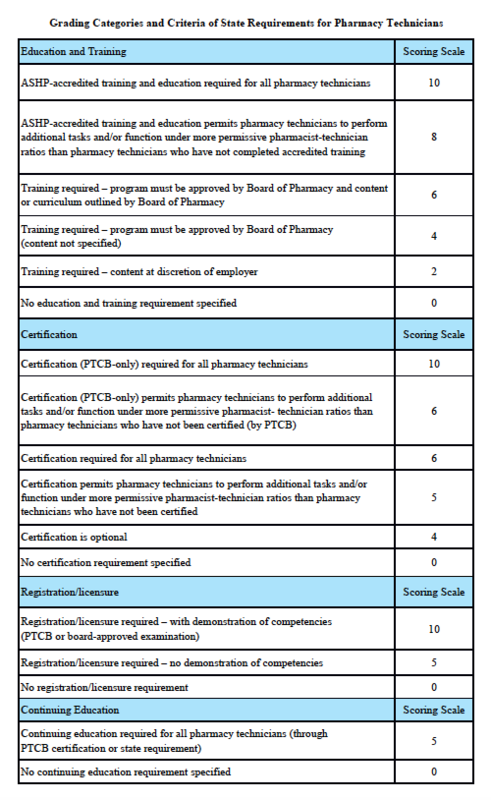 Any pharmacy technician certification organization may be approved by the board if the board determines that the organization has a standard for pharmacy technician certification and recertification not below that of the pharmacy technician certification board.